How no deposit bonuses work? Thanks to no deposit required, you can not only play in a casino, but also win real money, without depositing a penny. Usually you just need to register, and after a while a bonus credit will be added to your account with no deposit required. Don’t expect huge amounts, however. The standard bonus amount is €10, and you will only occasionally find a better offer. If you are already familiar with no deposit bonuses, check out our list of the latest no deposit casino bonuses. You can use the filter to view only bonuses available for your country, or for selected games. An obligation to rollover bonus credit a minimum of X times (wagering requirements). As with deposit bonuses, individual game types count differently or may be restricted completely. A bonus is only available for a given time (generally a month, but it can be just 7 days or 24 hours). After this time it is voided. The maximum credit amount converted into real money is limited, for instance to €100. Some casinos promote no deposit bonuses, but they only give them to you if you explicitly ask for it through customer support. In many cases, you need to use an exclusive bonus code to qualify for a no deposit bonus. Sometimes you have to enter the bonus code when registering (or after you register, redeem it in the cashier), so make sure you know how to claim the bonus before you register. 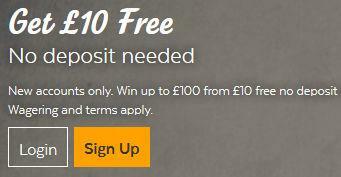 We include information about how to claim each no deposit bonus we list. Plus, be sure to check out the reputation of the casino offering the bonuses. 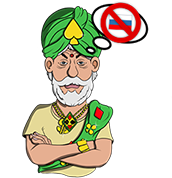 There are unfortunately too many cases of players trying to get their winnings from no deposit bonuses, only to find out the casino won’t pay them. Check out our honest casino reviews based on our research from many websites where players post their complaints. No deposit bonuses are appealing, the ideal way to try the world of casinos without risking a dime. But you shouldn’t be fooled by them. For long term play, it is necessary to choose a casino in accordance with other parameters.